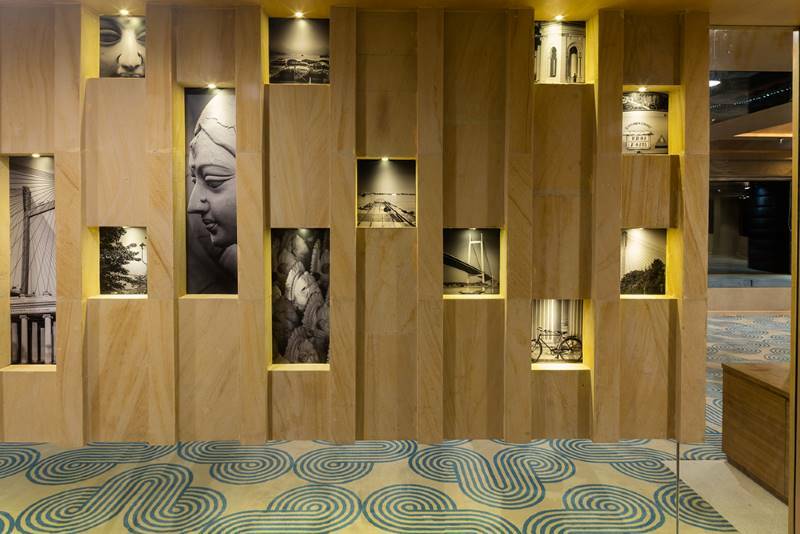 Located in the culturally rich city of Kolkata (formerly known as Calcutta) in West Bengal, India, the boutique Barsana Hotel is reminiscent of the country’s rich heritage, ably realised by New Delhi-based practice RMDK Architects. Providing a refuge from the chaos and cacophony of the city, the underlying aim for RMDK Architects was to create a strong and unique identity. 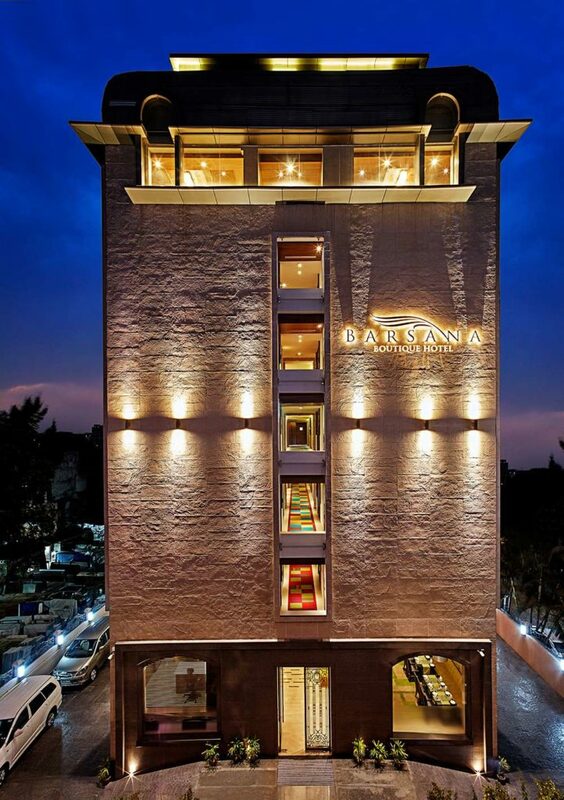 The seven-storey Barsana Hotel houses 45 guestrooms, a restaurant, and an event and conference space – no mean feat for a building constrained by its site and byelaw limitations. Its bold façade dressed in an organic texture of locally procured stone manages to create a strong visual presence in the area. The main lobby, with a lounge and restaurant, forms a seamless connection between the exterior and interior using fluid lines. The warm colour scheme, alongside natural wood and beautiful brass peacock finishes, adds a well-restrained touch of glamour and luxury to the space. Art is also central to RMDK’s design and ties all the spaces together. Images of local Kolkata in an earthly and natural palette with splashes of colour bring familiarity to an otherwise formal atmosphere. 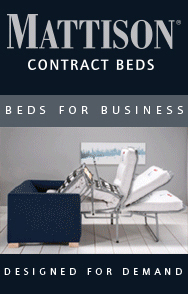 The hotel has been effectively planned to utilise the available space to ensure maximum functionality, while cleverly still creating the illusion of having a much larger open and free-flowing internal area. The guestrooms also optimise the space, using bright colours, which reflect the exuberant Indian culture, and also add some liveliness. 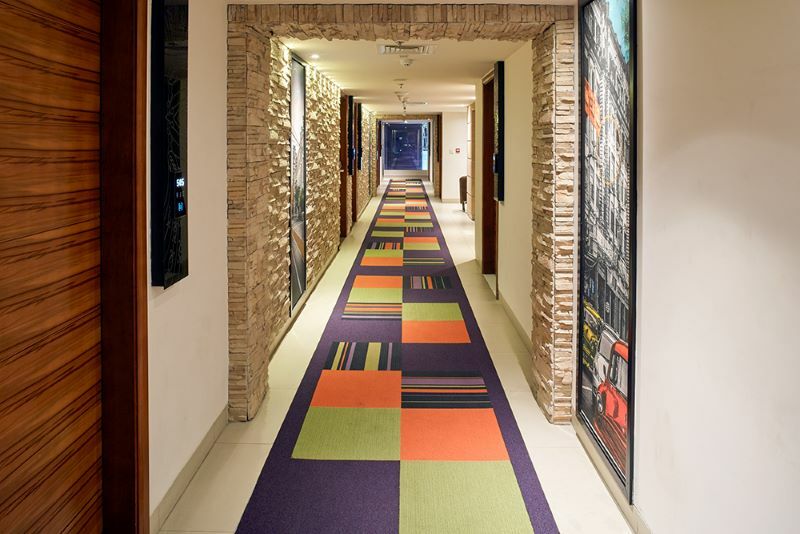 The corridors on each level of the hotel have a unique identity owing to a varying colour scheme that breaks away from the often muted and dull experience of public zones. A banquet hall is housed on the uppermost floor and can be either used as two separate units, with a foldable partition wall, or one large unified hall. The space has been thoughtfully designed to require minimal decorating when being set for a function. 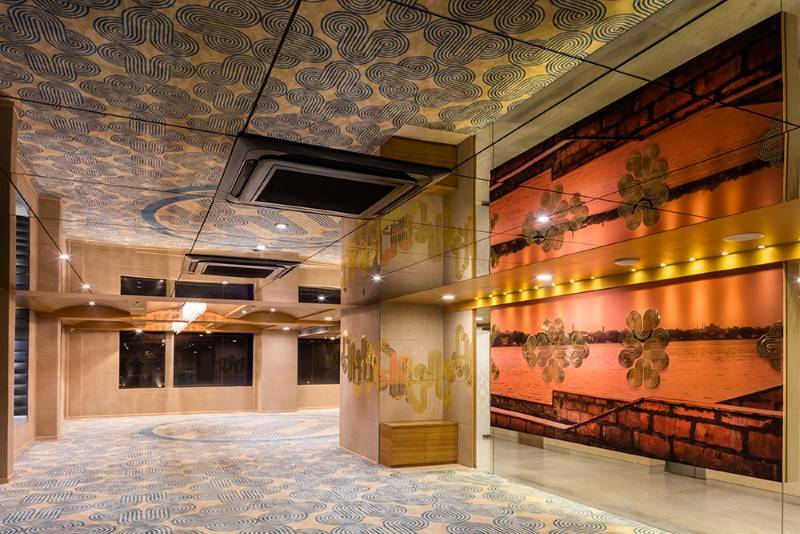 While the distinctive colours and pattern along the mirrored ceiling represent the conviviality of the local traditions and culture. 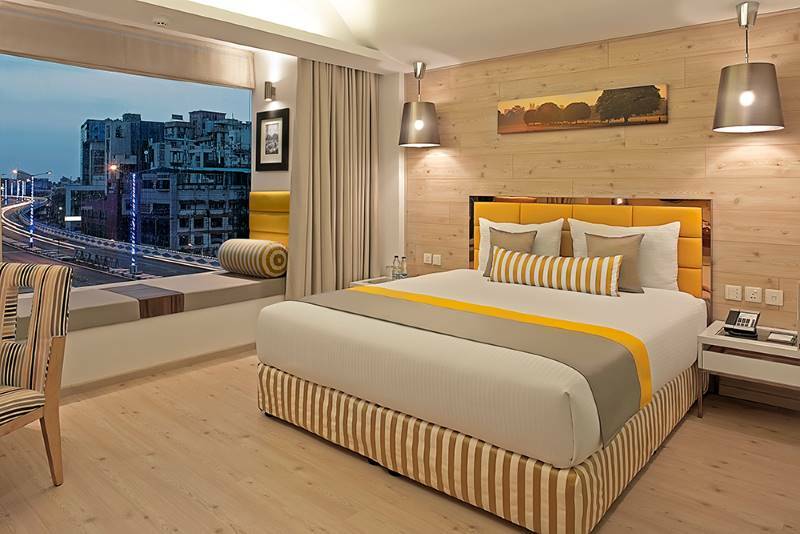 The Barsana Hotel has been meticulously designed to cohesively bring together each space to create a highly individualistic experience, providing not only a temporary shelter to its guests, but a lasting impression of the city of Kolkata.